When it comes to characters having the Force sensitivity, we really haven’t really explored the idea that a lot of people are at least a little Force sensitive. The new direction Star Wars seems to be moving in is less of a “only the Jedi can use the Force” and more that certain people can harness it in different ways. One of those characters is apparently Admiral Holdo in Star Wars: The Last Jedi. 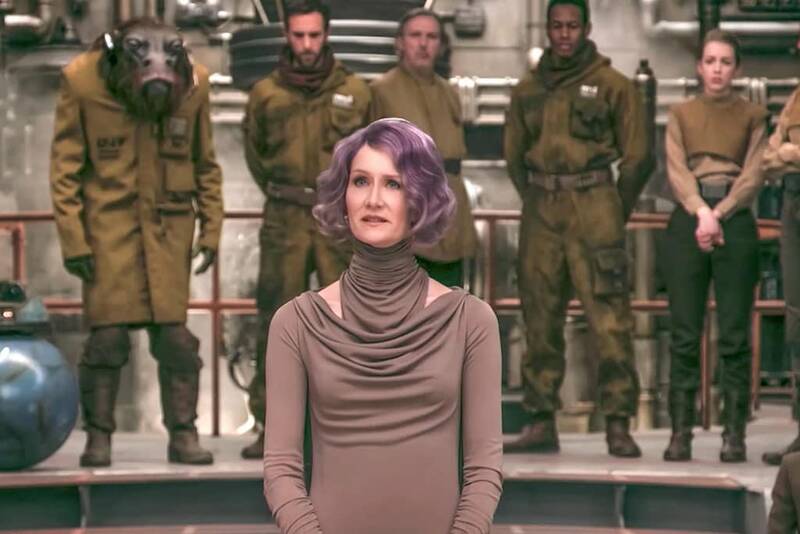 Laura Dern spoke to Entertainment Weekly about the history of her character and revealed that Holdo had a connection to the Force. This is a woman who trained under Leia, and if there was anyone who could teach Holdo the Force as a tool for change it would be Leia. The Last Jedi was about people needing to stand up, make sacrifices for the greater good, and help inspire the galaxy to fight back. They needed to restore hope, and Holdo did that in her own way through her sacrifice. She didn’t hesitate to give up her life for the cause, and Dern believes that is because she knew this wasn’t the end. “No one ever really gone,” is what Luke says in the film, and Holdo’s sacrifice to take down the First Order and save the Resistance means that she has become even more powerful in death. Star Wars: The Last Jedi, directed by Rian Johnson, stars Daisy Ridley, John Boyega, Mark Hamill, Oscar Isaac, Carrie Fisher, and Adam Driver. It’s out on home release now.